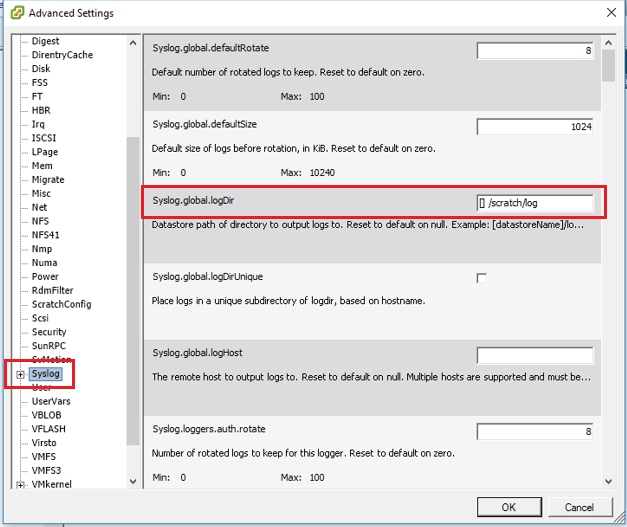 Techies Sphere: Configuration Issues: System logs on host are stored on non-persistent storage. Configuration Issues: System logs on host are stored on non-persistent storage. 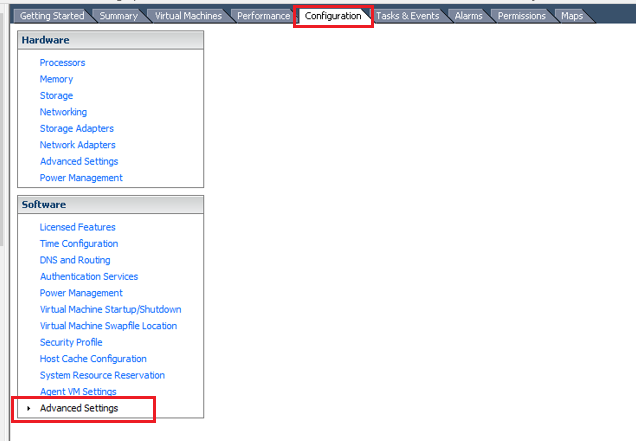 Or, How to fix ESXi host configuration issues alert ‘System logs on host are stored on non-persistent storage’? Or, VMware ESXi 6.0 error ‘System logs on host are stored on non-persistent storage’. Descriptions: By-default VMware ESXi host logs are saved to non-persistent disk. Means, if in case your ESXi host OS get crashed due to any reason, all the logs will be lost/deleted. To avoid this situation, its always recommended that you save your ESXi hosts logs on persistent disk. 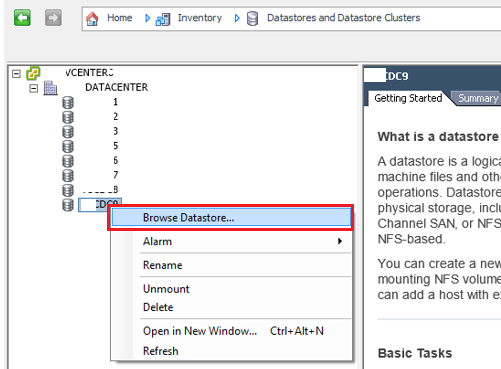 E.g any datastore available in your VMware infra. 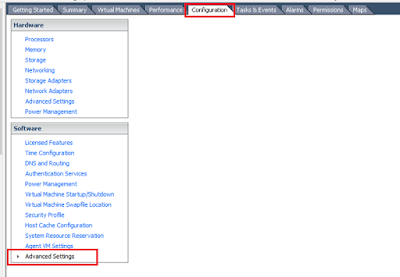 Steps: Creating dedicated folders for saving logs of all ESXi hosts and changing the default folder path. Note down the paths of each folder you created dedicately for each ESXi hosts. In my case, for ESXi Host 01, the path is “[DC9] AllHostsLogs/ESXiHost01” and so on for other ESXi hosts. 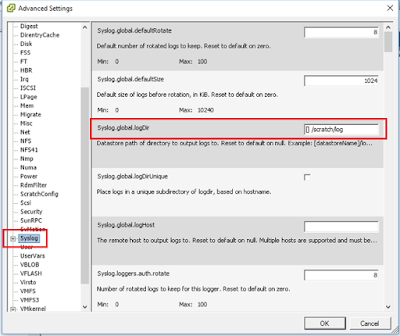 Under ‘Syslog.global.logDir’, write the log path for ESXi-01 Host. In my case, its “[DC9] AllHostsLogs/ESXiHost01”. That’s it. Please save the configuration now and you are done. Cheers.